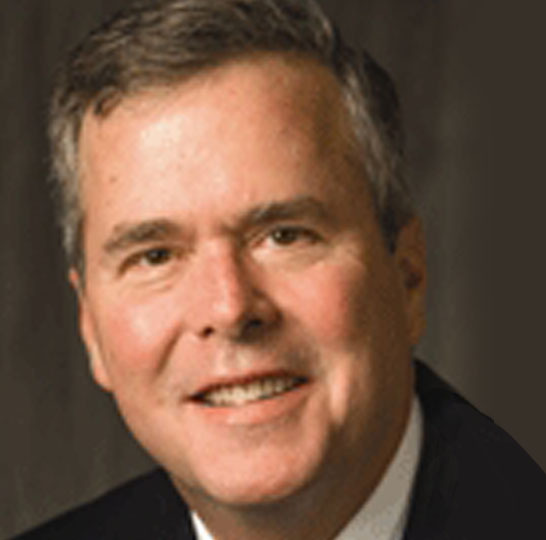 Jeb Bush was elected the 43rd governor of the state of Florida in 1998 and re-elected in 2002. His second term as governor ended in January, 2007. He is Founder, Chairman of the Board of Directors, and President of the Foundation for Excellence in Education, a national organization dedicated to improving educational quality. Governor Bush is also president of the consulting business Jeb Bush and Associates. In 1987 and 1988, Governor Bush served as Secretary of Commerce under Florida’s 40th governor, Bob Martinez. In 1995, he founded the policy group Foundation for Florida’s Future which, with the Greater Miami Urban League established the state’s first charter school, Liberty City Charter School, in one of the most underserved parts of Miami-Dade County. Governor Bush also co-authored Profiles in Character (1996), a book recounting the stories of fourteen of Florida’s quiet civic heroes. During his two terms as Florida’s executive, Governor Bush championed major reform of elementary and secondary education. He raised academic standards, required public school accountability, and created a school choice program. In addition, Governor Bush also cut taxes every year of his tenure in office and signed legislation advancing consumer-driven healthcare reform. In 2010, Governor Bush partnered with former West Virginia Governor Bob Wise to create the Digital Learning Council. Under their leadership, the Council has developed a blueprint for local, state, and federal officials to integrate high-quality digital learning into education. Governor Bush earned a bachelor’s degree in Latin American Affairs from the University of Texas at Austin. He is the son of President George H. W. Bush and Barbara Bush.